L’Oreal x Camila Cabello Havana Collection is available today at ulta.com and this August at drugstores and features and array of makeup including bronzer, lipglosses, bronzer, eyeshadow, and more. Camila Cabello is an American-Cuban singer known for her appearance on the X Factor. She’s the first spokeswoman to ever have an entire collection collaboration with L’Oreal. She worked closely with L’Oreal to create the 14 piece, limited edition makeup collection right down to the packaging and the fragrance of the lipglosses. An easy and precise liquid liner. Use around the inner corner of the eye, create a wing, or define under the eye. 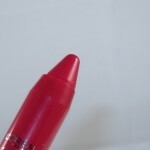 The marker-like tip is ultra-precise and allows for easy application in a flash. Quickly build up your natural looking brow color with this liquid brow product. Outline, fill-in, and define brows easily with the angled felt-tip applicator. Use lip dew for a natural, glossy lip look with shades ranging from neutral to subtle pops of color. Wear on bare lips or over lipstick for a dewy Havana lip glow. Large doe-foot applicator allows for quick and easy application. These creamy eyeshadows are perfect for wearing alone or paired together for a neutral smoky eye. Apply with finger or shadow brush for easy application. A liquid bronzer that is hydrating, lightweight, and ultra-blendable. Use alone or mix with foundation for an instant Havana sun-lit glow. L’Oreal x Camila Cabello Havana Collection is available at ulta.com and later this August in store and at drugstores and mass retailers. Wow, this collection is gorgeous! The packaging is so cute. I think I’ll probably pick up a few things, like the eye shadows. I love simple washes of color on my lids. Can’t wait. This looks like a really nice collection. Can we talk about how pretty the packaging is? I’d buy most of it just for that! I want to try the new brow product, I’d be interested to see how well it works and definitely all the eyeshadows and the liquid bronzer. Agreed, the packaging is very beautiful and Caribbean-themed. Can’t wait to swatch and see if they are worth it. I have no idea who she is, but I’m excited to see a (seasonal?) collection again! Just a correction, Camila is actually Half-Mexican. Her father is from Mexico . Ok, I went to Ulta today and they didn’t have this. In consolation I picked up the Born To Run and Smashbox Cover Shot Punked lol. Then I came home and ordered all 4 shadows and 3 of the lip glosses. I was thinking about the brow thing, but I’m a redhead so it can be tricky if I can’t see them in person. Why thank you **blushes** lol. Oh, I also picked up the Real Techniques paddle foundation brush. You were right, amazing application. I used it with the ColourPop foundation and it looked flawless. So excited with my face haha. I broke my “No Buy July” for makeup and I bought 3 eyeshadows and 3 lipglosses from Ulta.com. I plan on picking up the liquid bronzer & eyeliner once they are in store. I’m a sucker for cute packaging. they really did a nice job with the packaging! I asked this question before about M.A.C…and I don’t want to get you into any trouble, ha, ha…but does Loreal follow the same animal testing procedures overseas that M.A.C. does? in trouble? why/how? L’Oreal tests on animals in China as required by law but does not test on animals within the US from my understanding. Hope this helps!? Sadly, ulta exclusive at the moment!